UPDATE - March 11, 2013: Jordan Degroot, 39, has been charged with aggravated assault and assault with a weapon, reported CBC News. Court records show that a man with the same age and name was convicted for aggravated assault with a firearm in 2008, and sentenced to four years in prison, said CBC. A woman was violently attacked, apparently at random, inside a 7-Eleven store in downtown Vancouver early Sunday, leaving her with serious injuries, said police. 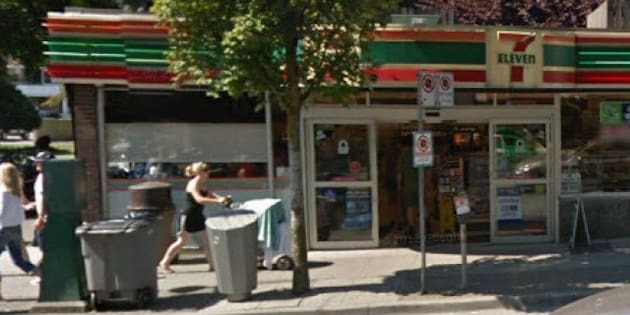 At about 5:30 a.m., a man stabbed the woman, 30, inside the convenience store at the corner of Denman and Comox streets. She suffered multiple stab wounds and was rushed to hospital where she remains in stable condition, said Vancouver police Sgt. Randy Fincham in a news release. Witnesses wrestled the suspect to the ground and held him until officers arrived. The 39-year-old man is "known to police." "The motive for the attack is unclear, but appears to be random as the man and woman were not known to one another," said Fincham.